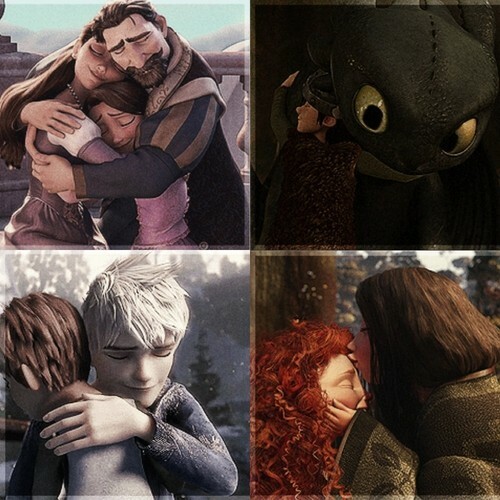 Jack, Rapunzel, Merida, and Hiccup. . HD Wallpaper and background images in the The Big Four club tagged: tangled rapunzel how to train your dragon rise of the guardians brave merida jack frost hiccup.